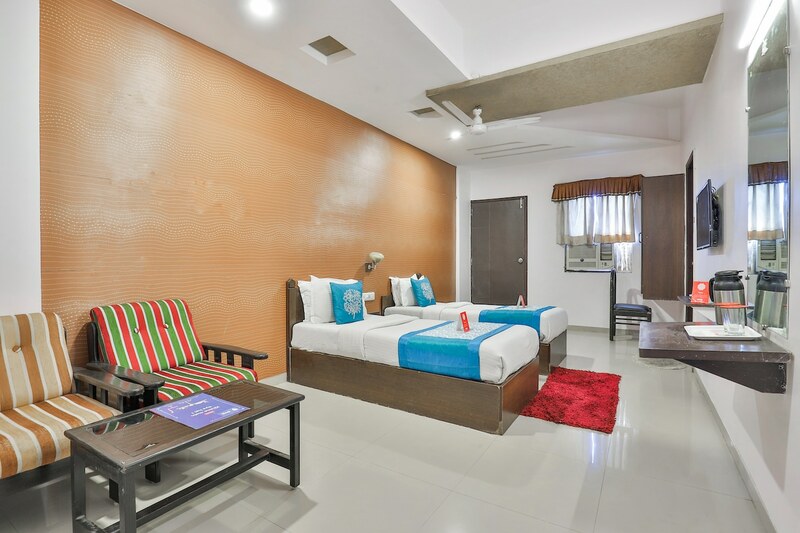 Located in the heart of Ahmedabad, OYO 711 Hotel Crystal promises a great experience to the guests at affordable rates. The property is well maintained by a trained and skillful OYO staff who ensure all your needs are catered to. The rooms are equipped with modern amenities like AC, TV and much more. To make the most of your visit, head out to famous tourist spots like Jaliwali Masjid, Bhadra Fort and Lalbhai Dalpatbhai Museum. Need cash? There is South Indian Bank ATM, Punjab National Bank and Bank of Baroda Atm nearby this property.